Google's video chat app, Duo, is all set to take a leaf out of its competitor WhatsApp's book and introduce group calling feature and a new low light mode. Group calling has become a standard feature on most calling apps. It was recently introduced on WhatsApp and also on Apple's Facetime. 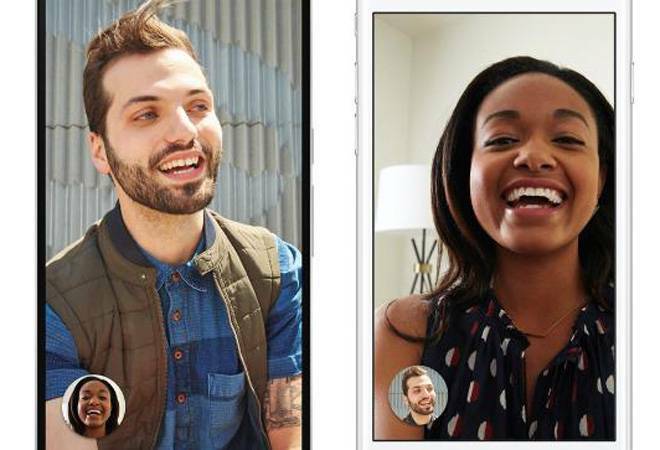 It is now coming to Google Duo and will accommodate maximum eight people, including the person who started group call, which is more than WhatsApp's four but less than Facetime's 32 participants. Google Duo doesn't complicate things. To start a call with multiple people, you will have to create a group with people you want to start a video chat with. However, once the call is on, you won't be able to add people. Users will have to first create a group and add people. You can also give names to these groups. Tapping on the group's name at the bottom right corner will bring up the list of group members. Google is also working on a "Low Light mode" for Duo that automatically regulates videos in dark surroundings for a better visibility. When the app detects low light, it will give a notification for the user to enable the 'low light mode'. The new feature is expected to arrive soon but the exact date hasn't been announced yet. Google will send out the update to the Duo app in a phased manner and it won't be directly available for download. Even the test access is controlled on the server side. Google Duo lets users make video calls in high definition. It is optimised for low-bandwidth networks. End-to-end encryption is enabled by default. Duo is based on phone numbers, allowing users to call someone from their contact list. The app automatically switches between Wi-Fi and cellular networks.